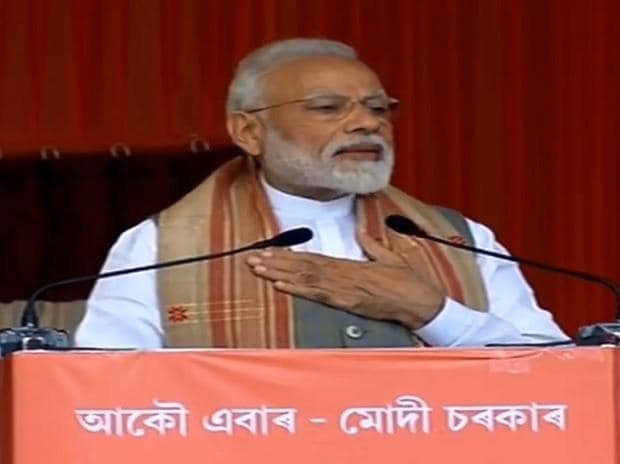 Listing his government's achievements, he said over 500,000 people in Assam have been given homes by the NDA govt, 27 lakh families have received health insurance of Rs 500,000 each and farmers have been given aid to take care of their regular expenses. "The NDA government has taken initiatives to open bank accounts for tea garden workers. Lakhs of families in the tea belt have received Rs 5,000 as aid in two instalments, the government has also decided to provide free rice and two kilograms of sugar to 400,000 families in the tea belt," he said.